The whole moving out process can be full of tension and pressure. 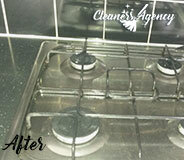 Why would your spend the small amount of time you have on cleaning rather than focusing on way more urgent matters? We advise you to book with the experts to get all the job done in the best possible way while you use your time for other things like home hunting or packing your personal belongings making sure nothing is left behind. Do you already feel tempted by our offer? If you are not one hundred percent sure, let us inform you about our pricing system. We have various cleaning packages, all of them fairly priced. What is even better, we offer many discounts, promotions and bonuses which will make the final sum of our service even lower. What could be better? We know what. 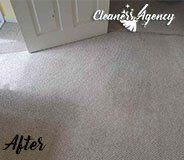 We supply ourselves with the most advanced cleaning equipment for which you do not have to pay not even a single penny. It is all on us. We advise to seriously consider the idea of booking with our end of tenancy cleaning services in Highbury because we are ready to go the extra mile for your satisfaction. 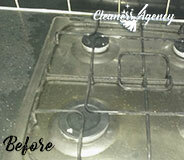 Thoroughly recommend this company’s end of tenancy cleaning service to anyone who needs a deep service. These guys are highly professional from the very first moment. They do know how to get a job done in the most proficient manner possible. I already recommended the service to friends who find it very beneficial. 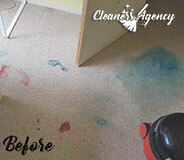 At Cleaners Agency London we always work hard to provide our clients with the best results in a very short period of time. We provide the best cleaning services in entire London and we always work hard to prove our customers that we are definitely worth hiring. Give us a call anytime it is convenient for you and we will send you a team of the most highly competent cleaners in entire London. We are a cleaning company with a lot of experience in this business and we know how to reward our customers with the best outcome. We are one of the few companies in London that actually care about their customers and this is why we encourage you to share your preferences and needs with us and we will work diligently until the final result meets your expectations. In addition to our excellent work, we also charge very inexpensive fees to demonstrate that quality and affordability can go hand in hand. When the end of your tenancy is drawing near, there are a few things you have to take care of. Despite being neglected, cleaning of the rented property is one of the most important duties a tenant has to deal with. Providing the same level of cleanliness as the one stated in the move in report is crucial if you would like to collect your security deposit. We do know how time-consuming and labour-intensive the final cleaning can be which is why we encourage you to try our end of tenancy cleaning services. Establish a contact with us and we will come to the property in Highbury at your leisure. We are lucky enough to collaborate with trained and experienced housekeepers who perform at peak levels. You can entrust your home to our hands without giving it a second thought. Over the many years we have been around, we have proved that we levels above our competitors and we cannot wait to prove it to you, too. Let us ease the burden on you and help you enjoy your moving out. We are the company that guarantees a hundred percent bond back refund! Please, do not hesitate to choose us.